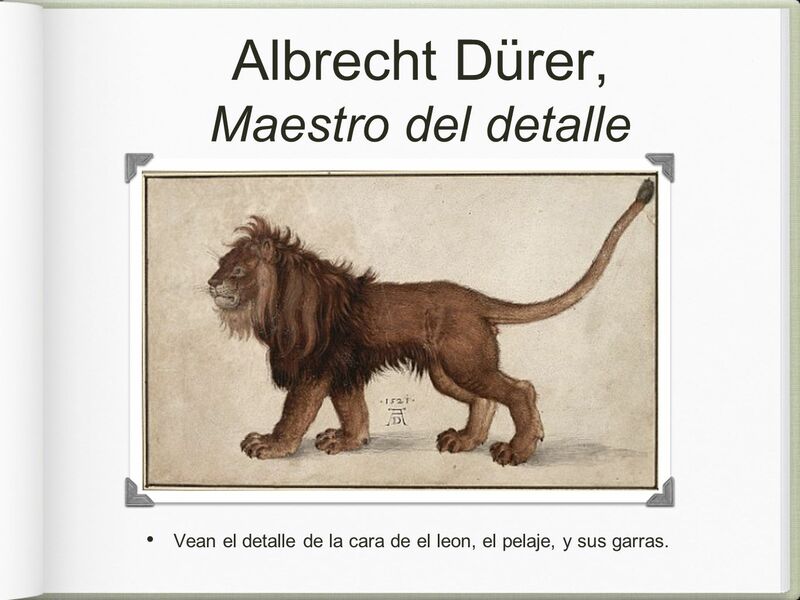 Albrecht Dürer Maestro del detalle. 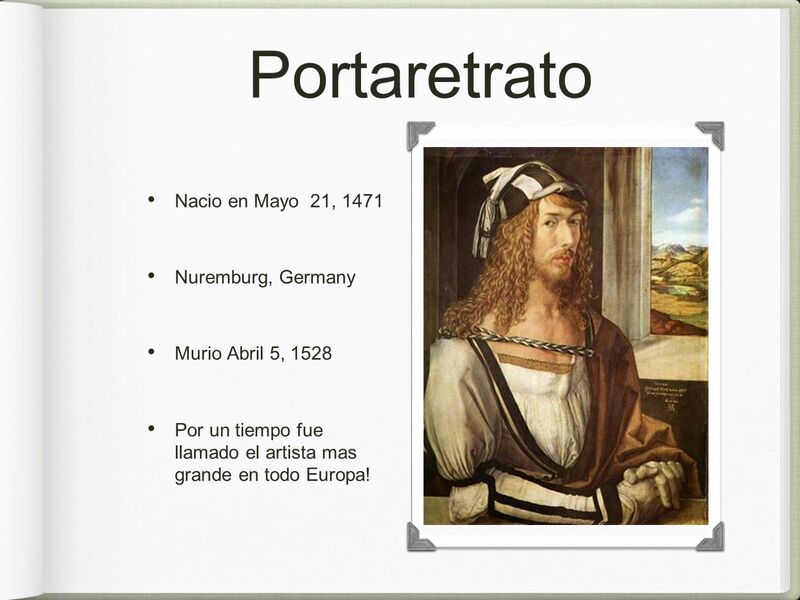 Murio Abril 5, 1528 Por un tiempo fue llamado el artista mas grande en todo Europa! 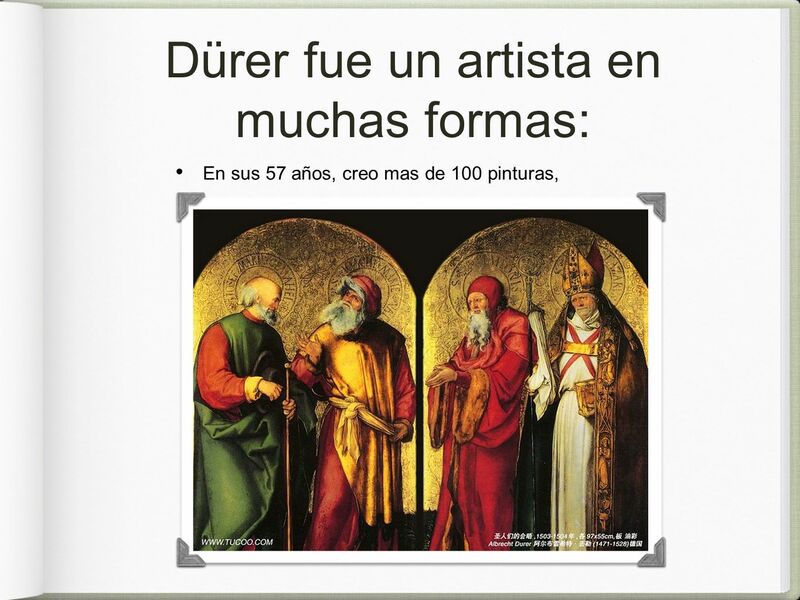 5 Muchas xilografías, only 3 puntos de arte en seco, y muchos dibujos. 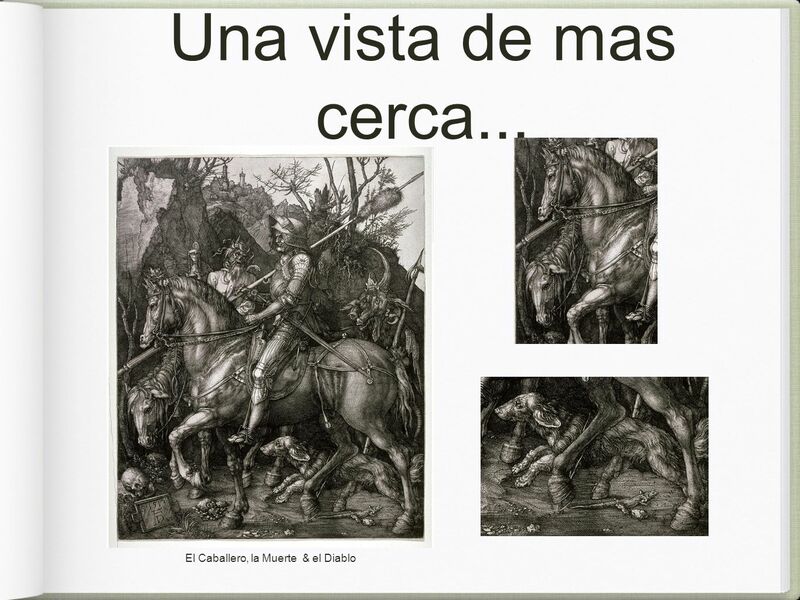 7 Dürer tambien podia dibujar animales que NUNCA habia visto antes! 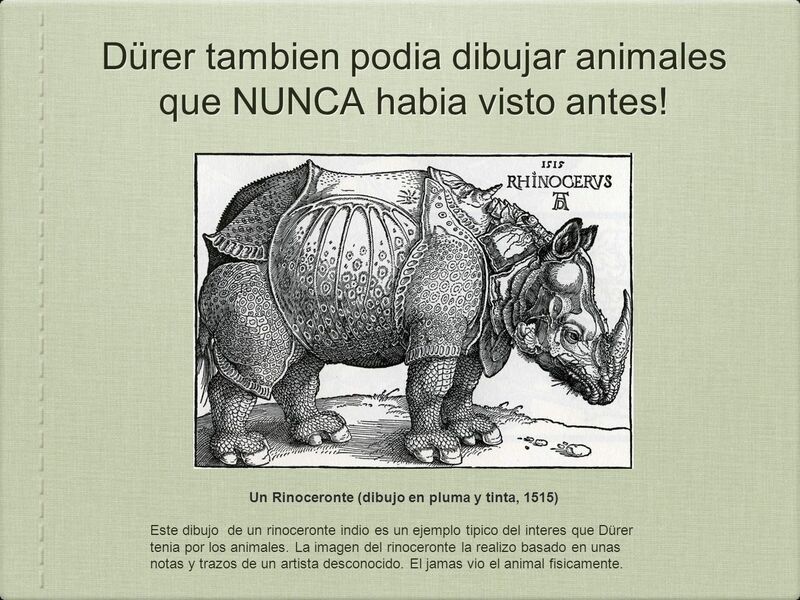 Text Un Rinoceronte (dibujo en pluma y tinta, 1515) Este dibujo de un rinoceronte indio es un ejemplo tipico del interes que Dürer tenia por los animales. La imagen del rinoceronte la realizo basado en unas notas y trazos de un artista desconocido. El jamas vio el animal fisicamente. 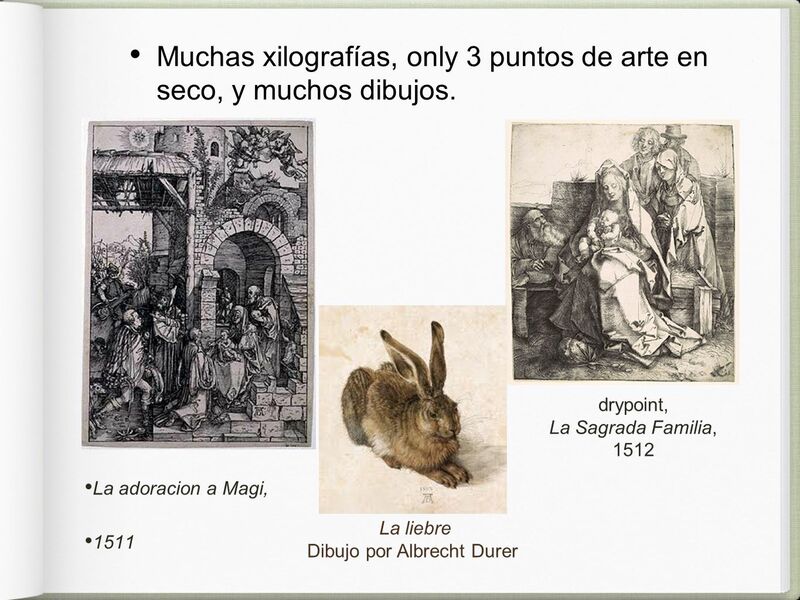 8 Dürer fue uno de los primeros artistas que vio a los animales como tema que valiera la pena . 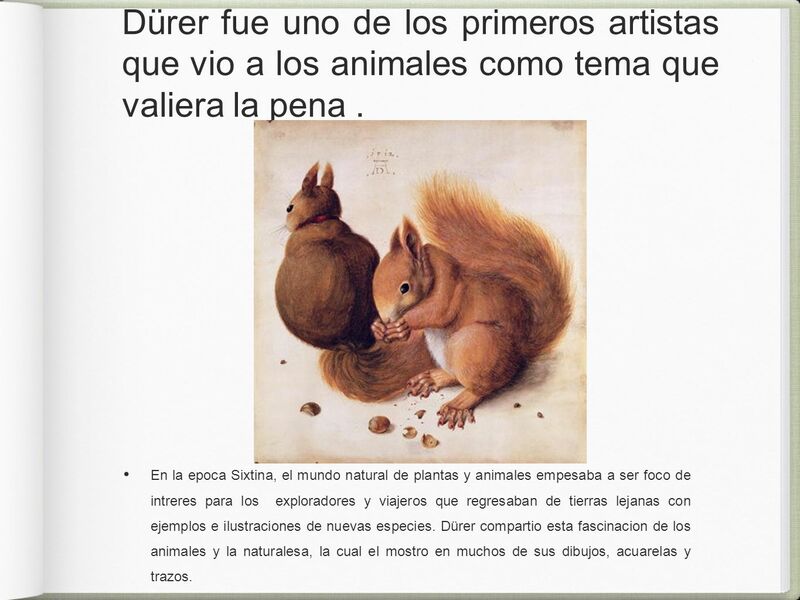 En la epoca Sixtina, el mundo natural de plantas y animales empesaba a ser foco de intreres para los exploradores y viajeros que regresaban de tierras lejanas con ejemplos e ilustraciones de nuevas especies. 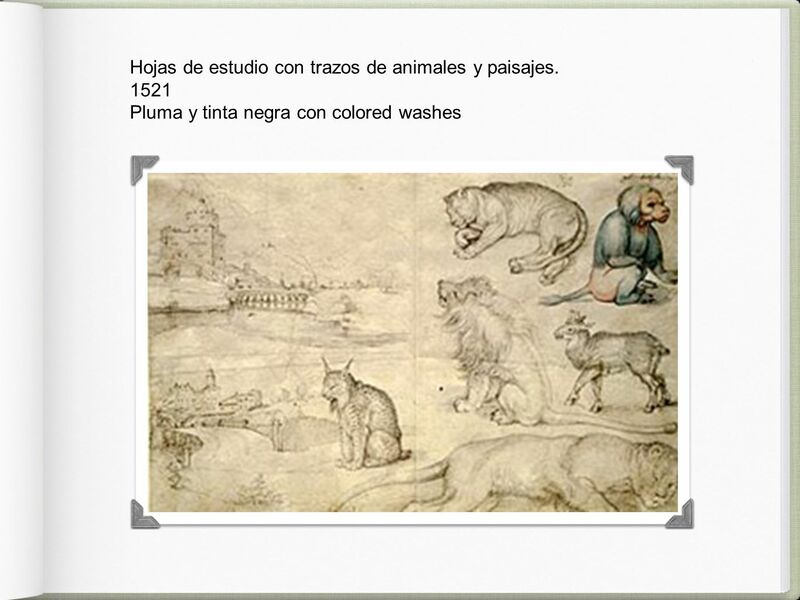 Dürer compartio esta fascinacion de los animales y la naturalesa, la cual el mostro en muchos de sus dibujos, acuarelas y trazos. 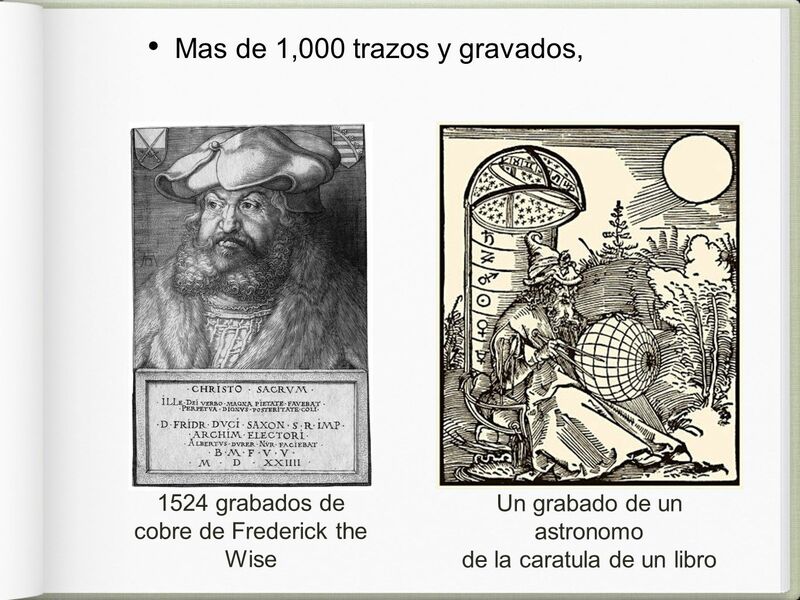 Vean el detalle de la cara de el leon, el pelaje, y sus garras. 10 Que detalles ven aqui? 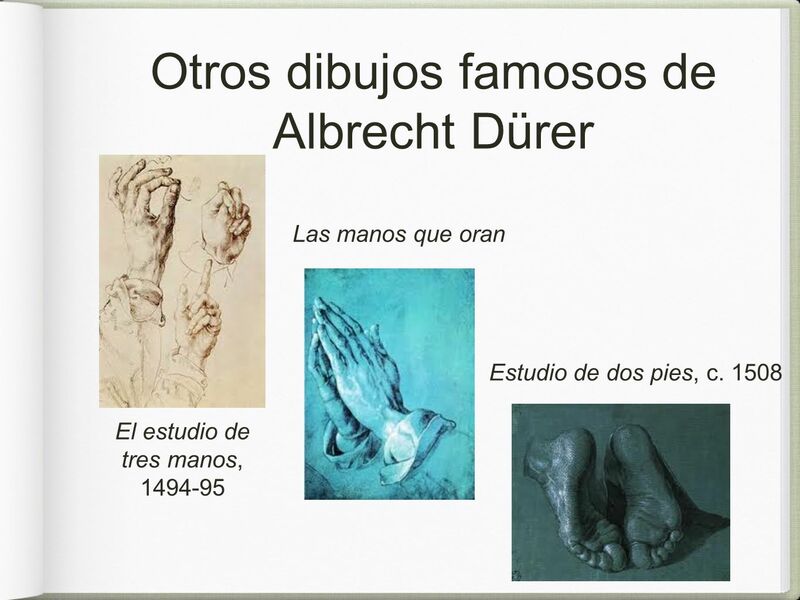 Albrecht crecio en el taller de jolleria de su padre, aprendiendo a si a realizar jolleria fina con detalles muy pequeños. Paso la mayoria de su vida adulta viajando por Europa, pintando y aprendiendo. 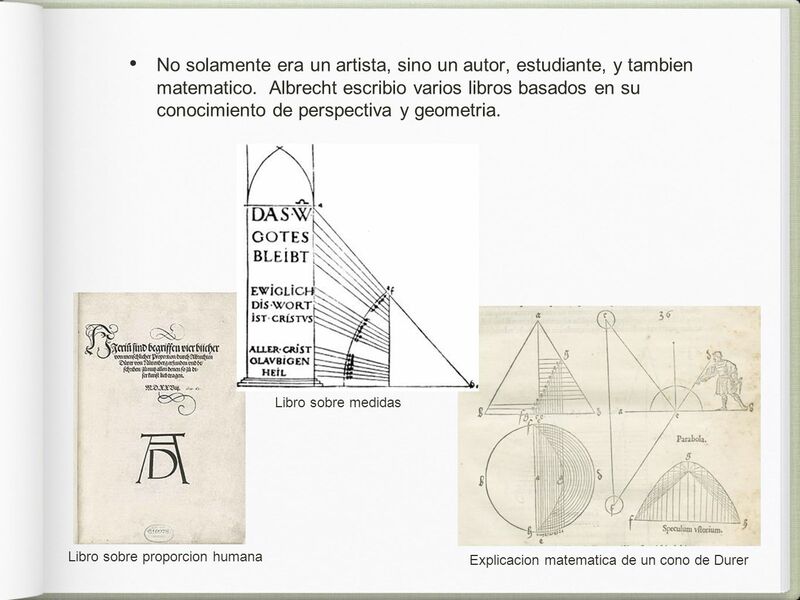 En todo su s trabajos de arte, Dürer demostro sus excelentes poderes de observacion con uan calidad similar a la de una fotografia. 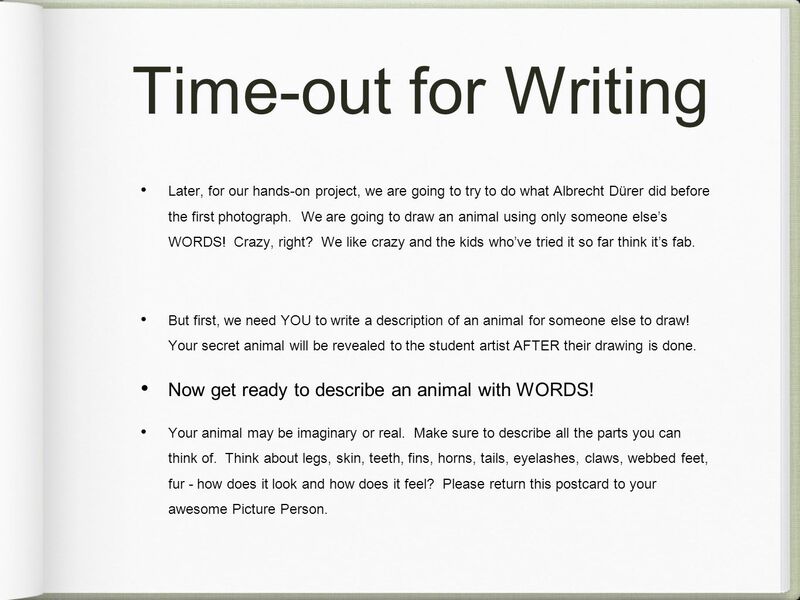 15 Time-out for Writing Now get ready to describe an animal with WORDS! 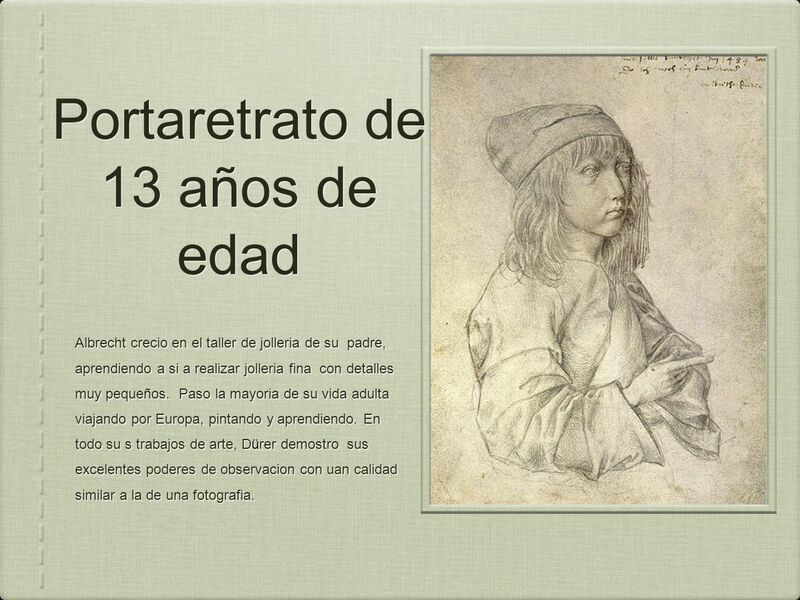 Later, for our hands-on project, we are going to try to do what Albrecht Dürer did before the first photograph. We are going to draw an animal using only someone else’s WORDS! Crazy, right? We like crazy and the kids who’ve tried it so far think it’s fab. But first, we need YOU to write a description of an animal for someone else to draw! 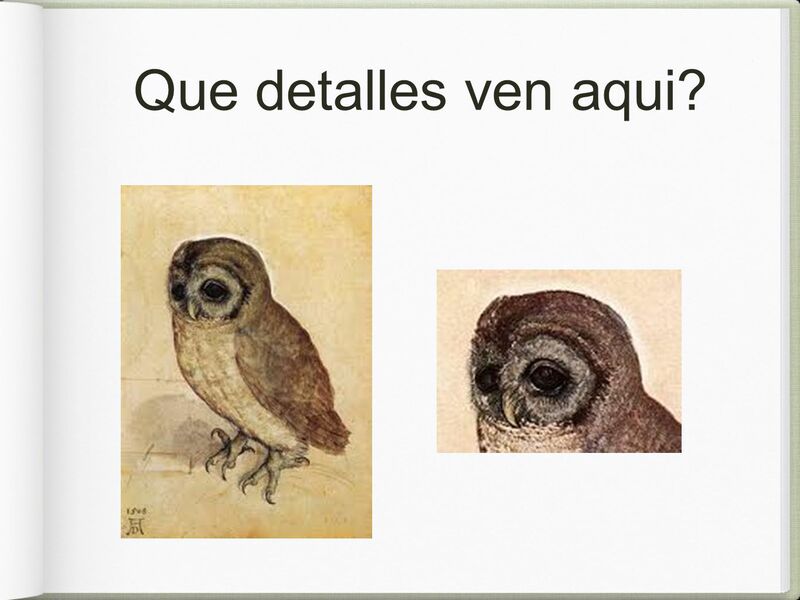 Your secret animal will be revealed to the student artist AFTER their drawing is done. Now get ready to describe an animal with WORDS! Your animal may be imaginary or real. Make sure to describe all the parts you can think of. Think about legs, skin, teeth, fins, horns, tails, eyelashes, claws, webbed feet, fur - how does it look and how does it feel? Please return this postcard to your awesome Picture Person. 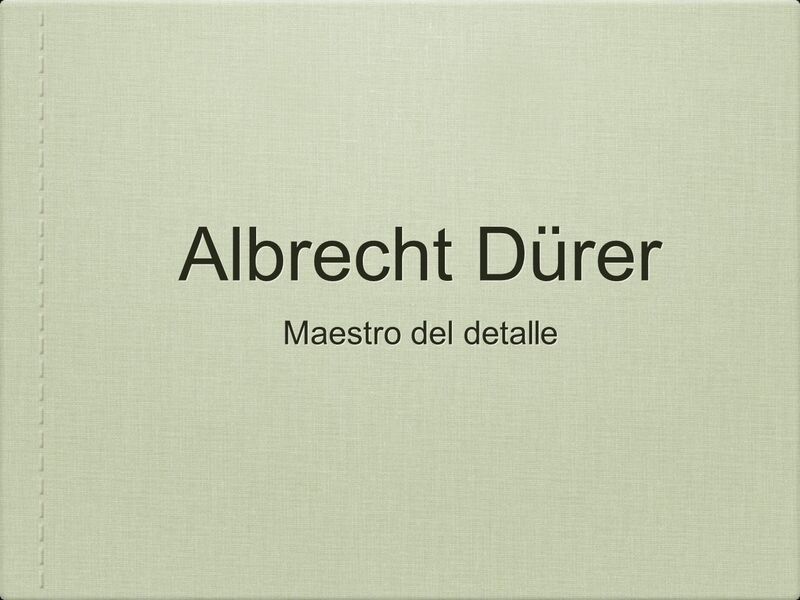 Descargar ppt "Albrecht Dürer Maestro del detalle." Verb Conjugations Easier than you think. The preterite (past) tense in Spanish. What is the preterite tense? The preterite tense in Spanish is one of two past tenses. We will learn the other. (Stem changing verbs) SPANISH Boot verbs have specific changes. Book Report/Reporte de un Libro Parents: Your children have checked out a library book. They will be writing a book report for this book. Please make sure. Today… We will: O Explore value as an element of art O Create value scales in our artist journals O Continue working on our Zentangle designs I will: O.
REFLEXIVE VERBS Ch 2-1. Reflexive verbs are used to talk about an action that the same person is BOTH doing AND receiving. It is like looking in the mirror. Starter: stars and wishes. Learning objectives: To use a writing frame to construct new language and memory strategies to remember it Outcome: Approximately. The goal for this homework is that you can practice listening and speaking Spanish. Use the audio and the written parts to repeat after the audio. Pause. Leyenda Azteca LOS NOVIOS. HOW TO VOTE VIA TEXTING 1.Standard texting rates only (worst case US $0.20) 2.We have no access to your phone number 3.Capitalization. Objective: I can recognize and accurately use gender agreement. Do Now: Match the following Spanish and English words: 1. Pelirroja a. Good-looking 2. El 3 de febrero, 2015 Change the following sentence to the present progressive tense (estar + -ando/-iendo). El perro corre. El perro está corriendo. How to Conjugate Regular –AR Verbs in the Present Tense. How to Conjugate Regular –AR – Er - IR Verbs in the Present Tense. REFLEXIVE VERBS Ch Reflexive verbs are used to talk about an action that the same person is BOTH doing AND receiving. -It is like looking in the. TIENEN 5 MINUTOS Hoy es el _____ de _____ del __________ Objective : I can identify and say prepositions Vocab/Ideas : Sobre Detrás de Debajo de Entre. Subject Pronouns and Regular –AR Verb Conjugation The most important grammar presentation you will have this school year. REFLEXIVE VERBS IN SPANISH Pregunta esencial: How do I use relfexive verbs with their pronouns to talk about what people do for themselves.